What’s it really like to be a successful entrepreneur? In some ways, owning your own business comes with the same challenges of a traditional job—e.g., flooded inbox, schedule jam-packed with meetings, fast-paced deadlines. In other ways, though, it’s a venture unlike any other. Building a small business requires lots of personal sacrifice. When I chat with others who started their own companies, we swap anecdotes about working in an empty office over a long holiday weekend, having to reschedule—again—an already overdue doctor’s appointment, skipping vacations (or planning trips around wifi availability so that you can keep up with tasks from a distance), and putting in extra hours over the weekend. With entrepreneurs, it truly takes one to know one. These common sacrifices unite us. Striving for continued success, though, is not just about putting in long hours and having a passion for your work. To avoid burning out, you really need to be driven by a greater purpose. For me, that greater purpose goes beyond just creative and technical know-how. It’s having a passion to understand our clients’ businesses and their goals so that our team can figure out the best ways to leverage digital marketing tactics to help them succeed. There’s nothing more rewarding. 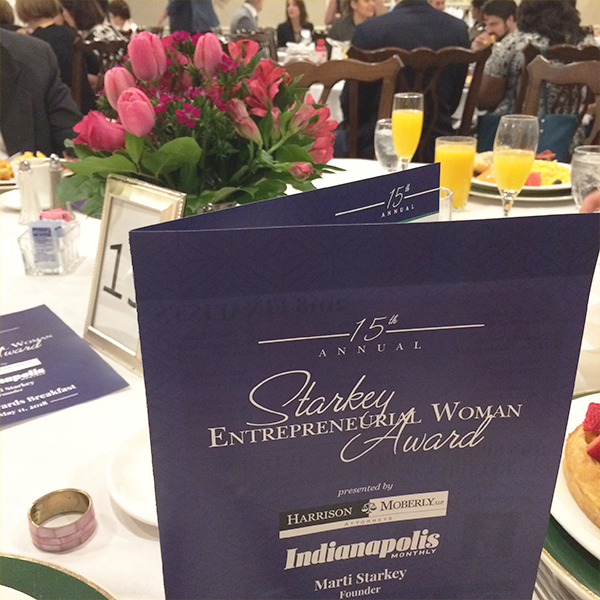 That’s why, earlier this spring, I was incredibly honored to get some good news that I was nominated—and, then chosen by a committee of judges—as a finalist for the 15th Starkey Entrepreneurial Woman Award. It was rewarding to read through the thoughtful letters submitted by our clients that was a factor in the judges’ decision-making. Established in 1998 by Marti Starkey, the award “honors female entrepreneurs who have exhibited courage, tenacity, and selflessness in starting and running their own businesses.” Starkey founded the recognition program to honor the memory of local small business owner Helen E. Marschke, who managed her own business and financial affairs until she was well into her nineties. This year’s theme was “serve the least of these.” It was humbling to be recognized by business leaders for my work (and to have the opportunity to meet the other inspiring finalists). With this blog post, I’d like to try and do a little something different. I’ll be sharing some business tips for entrepreneurs and small business owners on what’s worked well for me. In the digital marketing world, working in the web design and development niche can be mercurial, and clients rightly see working with a firm like TBH Creative as a huge investment. This is one reason why I’m driven by setting goals and ensuring that our work always leads to results. How can clients expect to get the best ROI if the entire TBH Creative team isn’t experienced and aware of best practices? Qualifications don’t last a lifetime. Being prepared is a mindset, and, at TBH Creative, self-education goes beyond just getting certifications and taking courses. Our whole teams sees it as a top priority to discover and explore new solutions as part of our daily work in order to ensure we’re always giving the best recommendations and helping clients succeed. As Gandhi once said, “Live as if you were to die tomorrow. Learn as if you were to live forever.” Although he didn’t intend for it to be inspirational entrepreneurial advice, it’s a spot-on recommendation to follow if you want your business to thrive and endure. See our work for Baker Hill. Teamwork makes the dream work—really! On any project, you’ll find success when a project is a true partnership. Aim to work with clients who hire you because they trust you, appreciate your process, and value your experience. It’s why we’ve been able to be so successful when working with OrthoIndy. 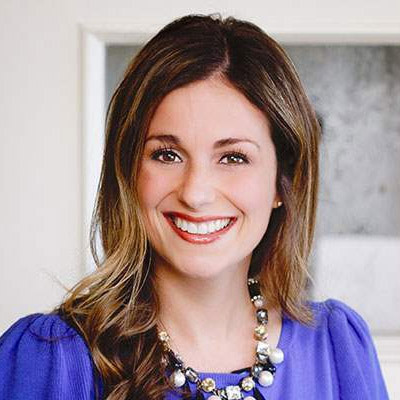 Kasey valued what we could bring to the table, and that made a difference. We asked her a lot of questions, and the results of our step-by-step collaboration produced significant results. Before their new website launched, OrthoIndy averaged 275 sales qualified leads monthly. After they were seeing up to 575 SQLs every month. That’s a 109% increase—all within the first six months of launching—and, we couldn’t have done it if Kasey and her team hadn’t trusted our design and tech recommendations from start to finish. When it comes to working with clients, it just goes to show that you can’t move forward until everyone is on the same page. Knowing your client’s problems and coming together to create a unified vision of what success might look like is imperative to making progress. Get specific with your goals. Make them as detailed as possible, and define ways to measure. This makes it easier to keep everyone focused on the big picture. Remove roadblocks. Keep those lines of communication open—and flowing. Encourage an open dialogue by creating an environment where everyone is comfortable to discuss problems and suggest outside the box solutions. Always prepare meeting agendas. No one has time for meetings that go off-track. Prepare agendas for meetings with clients, and set expectations at the start so priorities are established from the get-go. See our work for OrthoIndy. There are lots of business advice articles covering why it’s important to empower your team. This is certainly true, but it’s also important to also invest in sharing what you know with your clients. On a base level, your clients will always be invested in seeing their project succeed, but you can take that collaboration to the next level when you give clients some basic digital marketing know-how. This skill often empowers them to take a more active role in shaping and growing a web design and development project’s success. One of my favorite strategies is to take ten minutes out of each meeting to explain why we are doing what we’re doing at this point in the project (as well as how this task will effect the following step). Then, I always like to finish by asking “Does this make sense?”—and, I mean it. You have to be open to discussion and make your clients know you’re available to help. When clients understand why our process works the way it does, they can better appreciate the end results. Plus, it improves our working relationship in future campaigns and projects together when clients know there are reasons for each part of our process (and that they can ask questions at any step along the way). It’s a win-win! See our work for Logansport Memorial Hospital. Thank you to all of our clients for making this special recognition possible, and thank you to Marti Starkey for creating an inspiring program to shine a light on the achievements of female entrepreneurs.